STARDOLL FREE | Underneath Stardoll Blog: New On Stardoll- Awards. 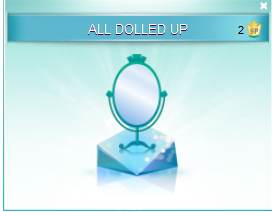 I logged on this morning to see a new feature on stardoll- Awards! Underneath your suite, above your presentation you now have this bar to drag all your awards for people to see. You press the down arrow, and you see a list of awards that you could get. You also get starpoints for each award you get, for saving your medoll, you get 2, but for getting royalty, you get 15. If you want people to see some of your awards you can drag them too the bar of which I showed you a minute ago. This is taken from a stardoll post, and it explains what different categories do. Core - achieved by completing various introductory and fundamental challenges on Stardoll. 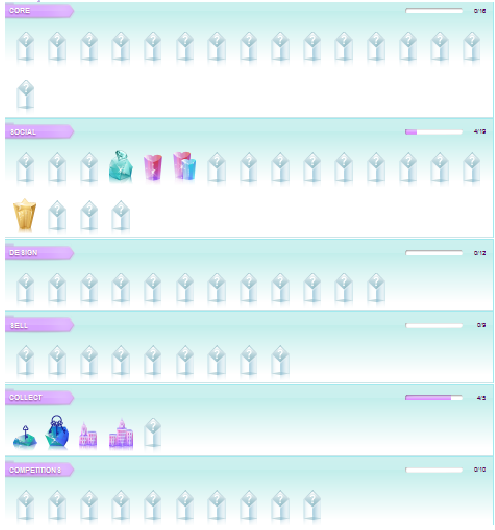 Competitions - achieved by winning Stardoll’s global competitions where all members have had a chance to win. Sell - achieved by selling items in StarBazaar, both own designs and items bought in shop including the gift shop. Design - achieved by designing and buying items from in the 4 StarDesign Studios. (StarDesign Fashion, StarDesign Interior, StarDesign Jewelry, StarDesign Hair). Once you gain an award, you always have it, and it will never disappear. So, do you like this new feature, or is it pointless?